Madhya Pradesh Professional Examination Board (MPPEB) popularly known as Vyapam has declared the results of the recruitment exam held for the posts of of Mahila Paryavekshak on the official website of Vyapam. 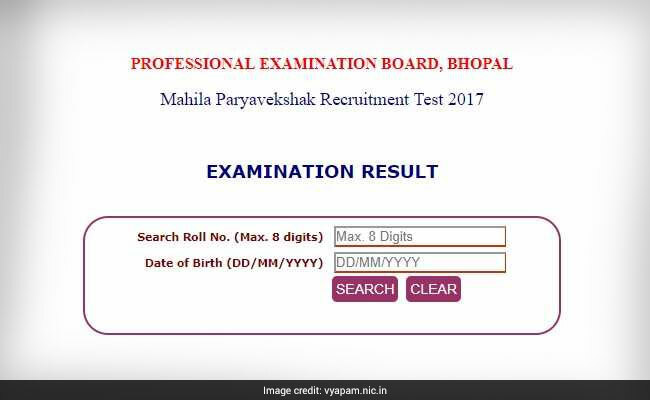 New Delhi: Madhya Pradesh Professional Examination Board (MPPEB) popularly known as Vyapam has declared the results of the recruitment exam held for the posts of of Mahila Paryavekshak on the official website of Vyapam. The MPPEB Mahila Paryavekshak 2017 results can be accessed from vyapam.nic.in. The MPPEB had conducted the Mahila Paryavekshak 2017 recruitment exam from March 25 to March 31, this year. Online applications for this recruitment were invited on February this year and registration process started on February 21. The online application process concluded on March 7, 2017. 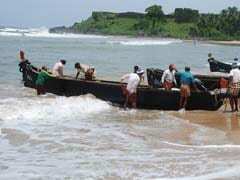 The applications for this recruitment was accepted through mponline.gov.in. The recruitment tests for this vacancies were conducted at Bhopal, Indore, Gwalior, Sagar, Ujjain and Satna.